At The University of Western Australia (UWA) you can find some very new art. 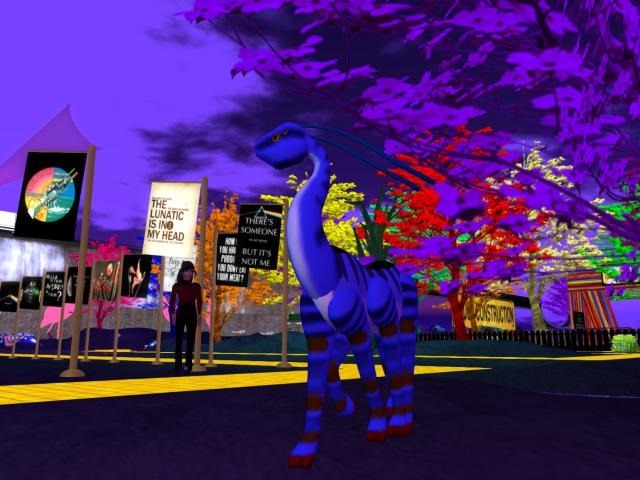 When i walked around the exhibition i found that art in Second life is finding its own way. Moving away from just copying real life art to get its own expression. Many of the objects have a real virtual world feeling. 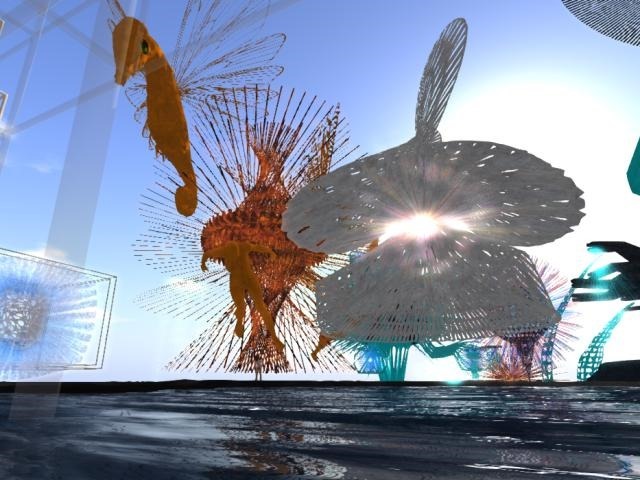 Many object should probobly sort under sculpture but by adding animations and lights a new virtual art arise. Another great exhibition at The Two Shores gallery. RL art made for SL. And a picture of the owner Mathilde Vhargon. The art you have to go and see. Hmm another bad art sale. Cheap art ripped of from somwhere on the net. No This i do not like. Read more: Another art sale.